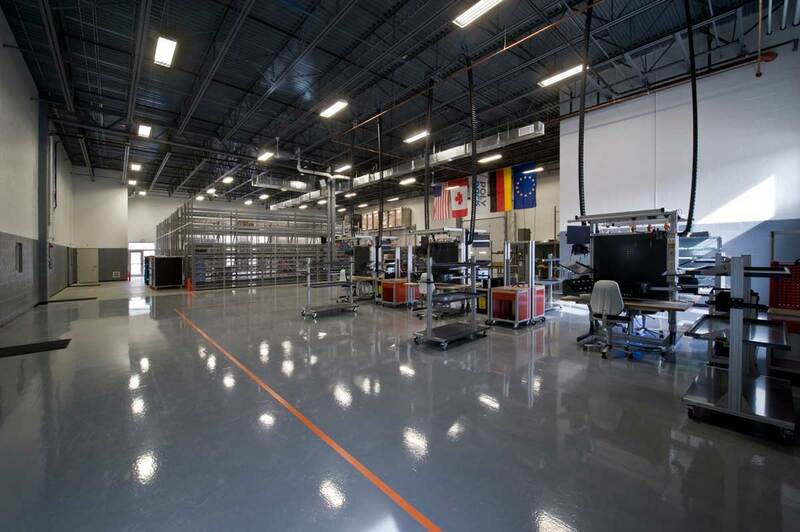 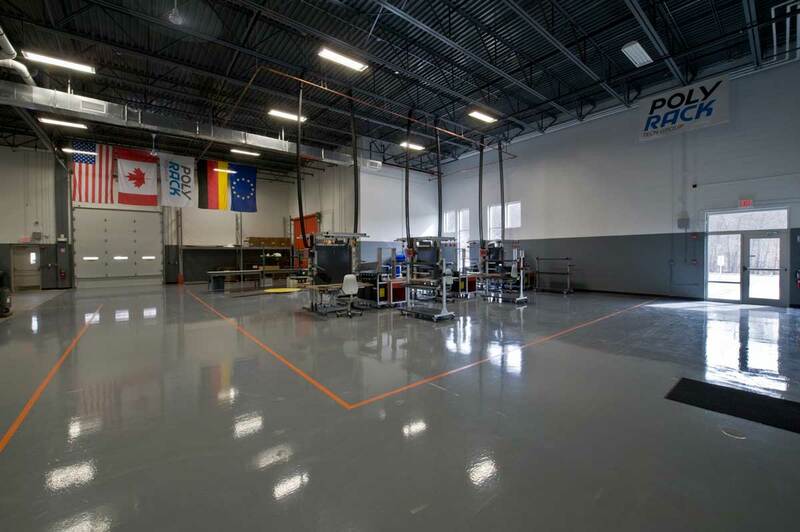 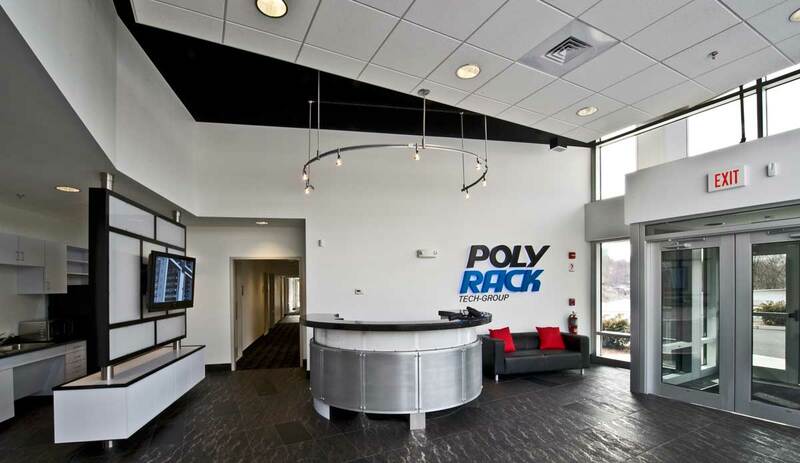 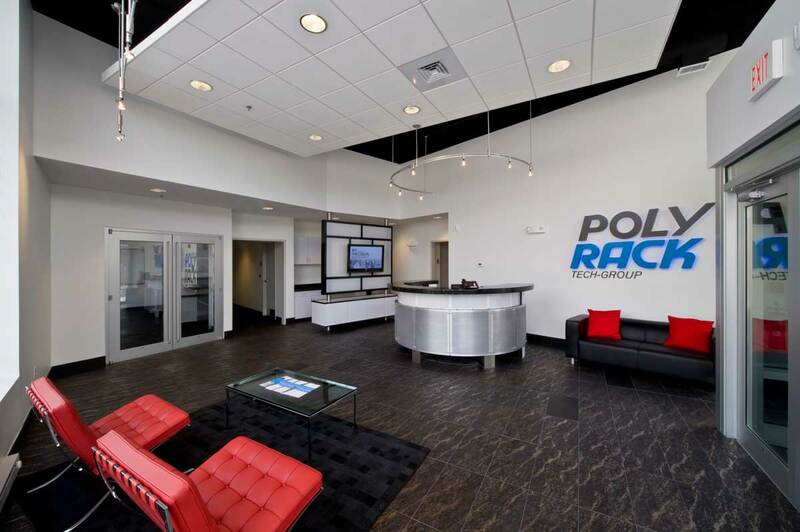 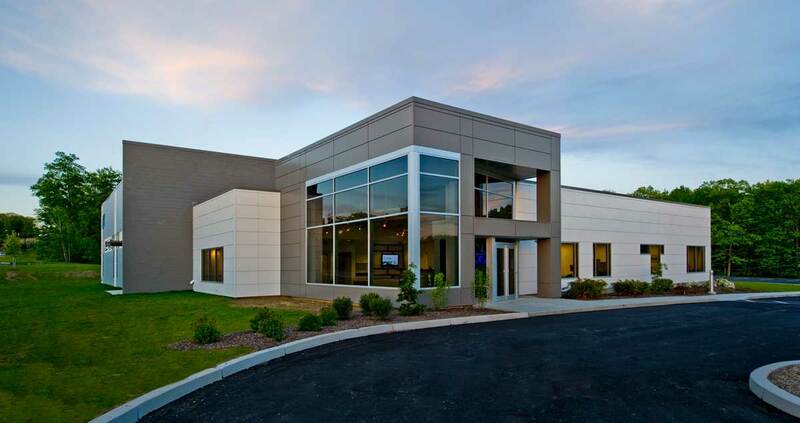 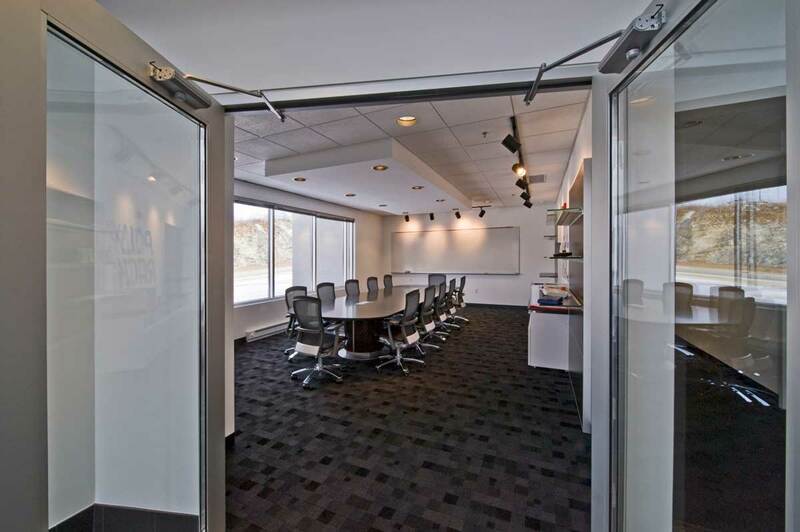 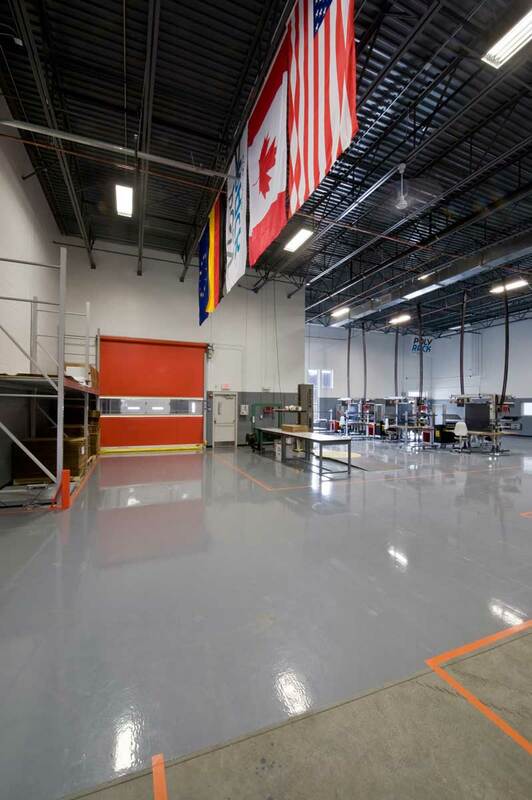 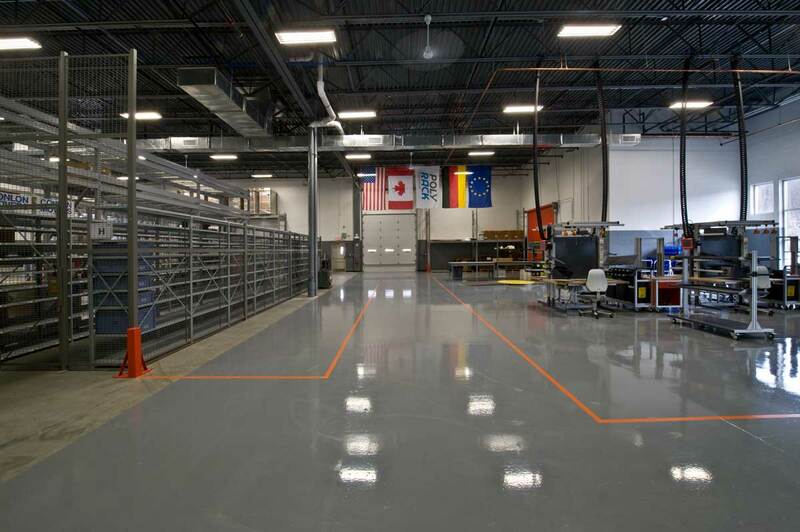 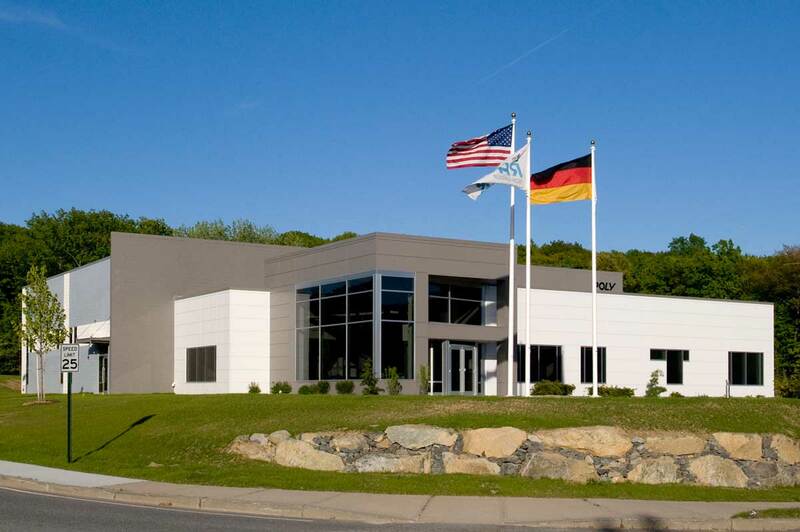 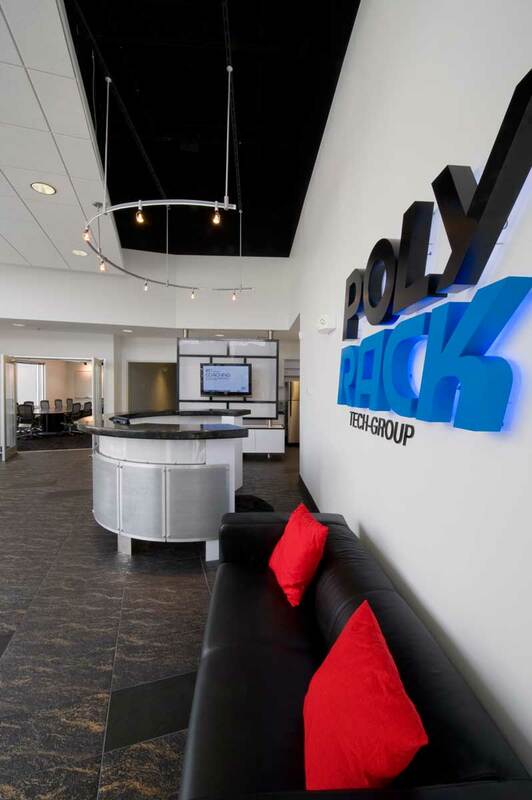 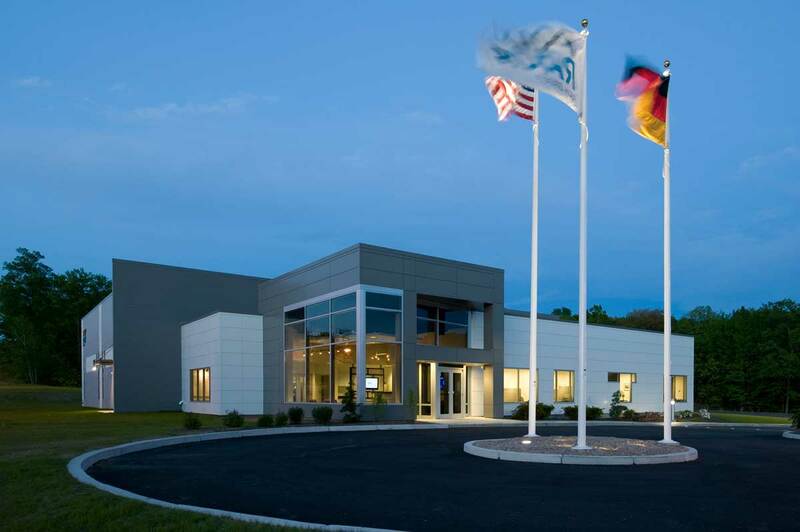 Polyrack, a German company specializing in the design and manufacturing of custom computer housings, commissioned the design build team of Vision 3 Architects and New England Construction to build their North American headquarters located in Cumberland, RI. 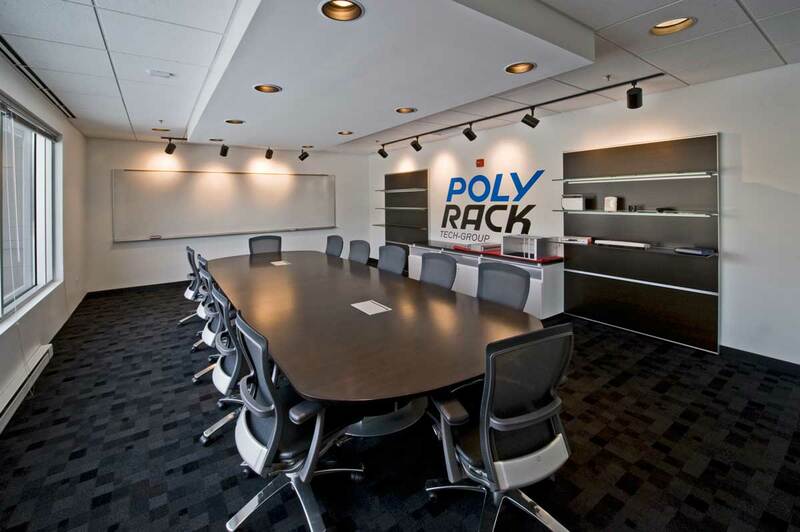 It is the first U.S. facility for Polyrack. 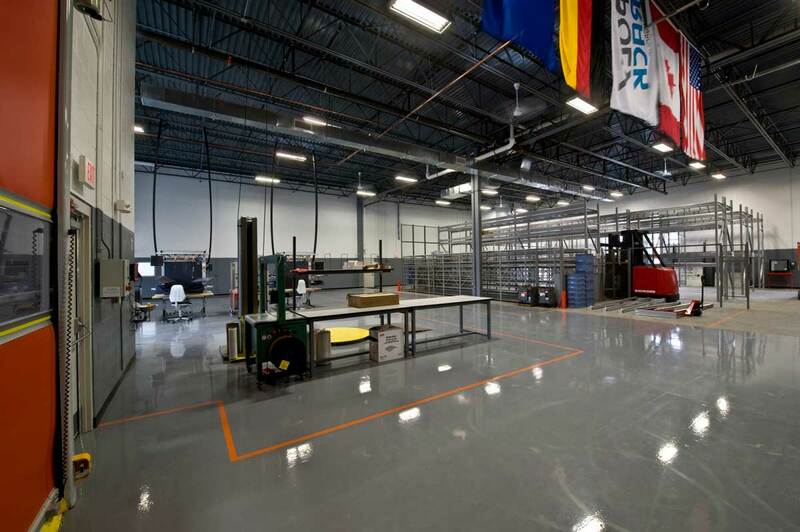 The one-story building consists of administrative offices, assembly, fabrication, and storage areas. 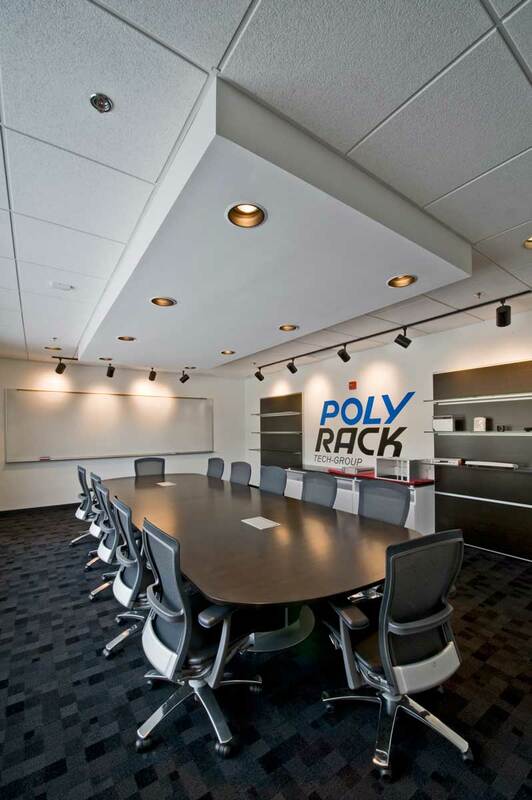 A contemporary design creates an image consistent with the high tech products which Polyrack produces. 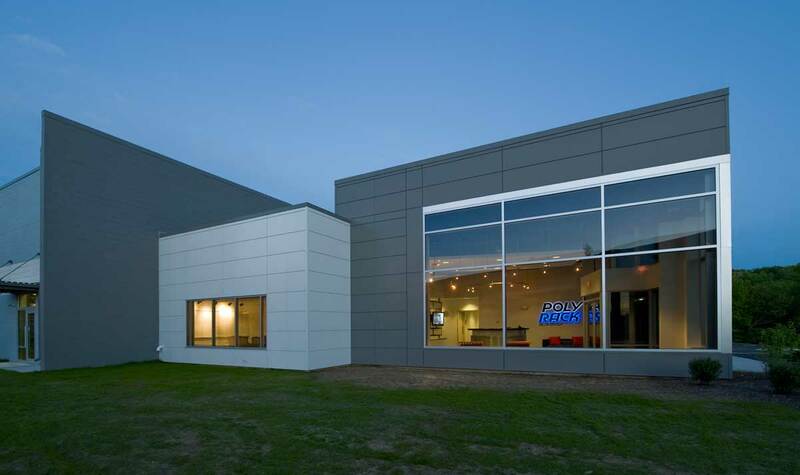 The exterior of the building incorporates metal panel systems in Polyrack corporate colors, concrete masonry units, and aluminum glazing systems. 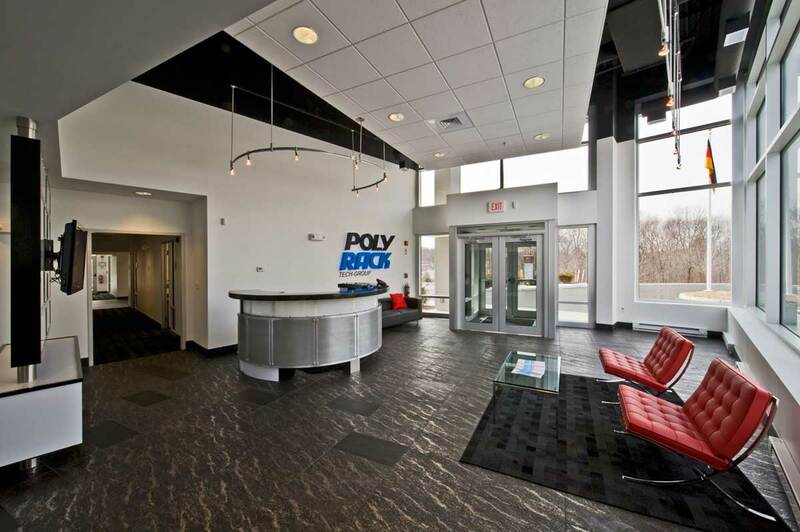 The interiors are designed with a modern and open feeling, especially in the entry lobby and reception areas.